Park Place Health & Dental Clinic, Inc. is a 501 (c) (3) company that seeks to serve the dental needs of adult citizens of the city of Norfolk, Virginia. 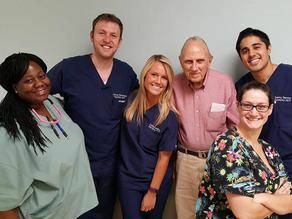 Provide excellent Dental care in the areas of extractions, fillings and cleanings to the homeless, low-income and underserved residents of the city of Norfolk. Park Place Health & Dental Clinic seeks to be a positive impact in the community through dental services and community involvement. Located in the Park Place Multi-purpose Community Center. 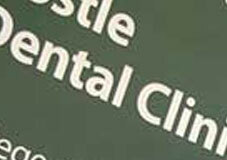 The Clinic provides no-cost services in dental extractions, restorations (fillings) and hygiene (cleanings). PPH&D Clinic uses an Eligibility Screening system that will take no more than 15 - 20 minutes once you get into seeing the screeners. Eligibility Screening is on Mondays starting at 8:00 AM. This involves coming to the Park Place Multi-Purpose Center and then sitting in the lobby and going through the screening process. Eligibility screenings can occur during the rest of Mondays and early Tuesdays but the number of available appointments gets limited as Monday and Tuesday fills up. Remember appointments cannot be made by phone and are first come, first serve. 4. If a resident of a local shelter program, then a letter from the program on their letter head stating the time and date you have been staying with them and for how long. We need all the income of the individuals claimed on your taxes in order to qualify your income for services. Third, you need to bring a valid picture ID. This could easily be a current, non-expired Driver's License or a valid ID card. Finding dental costs for procedures is difficult. We created this section so users of our website can see what others have paid for dental treatment at Park Place Health and Dental Clinic. Do you know how much Park Place Health and Dental Clinic charges for services? Attention We cannot guarantee the dental costs to be completely accurate. They are displayed for informational purposes for our users. We have compiled prices provided by users and online research. In order to obtain actual costs please contact Park Place Health and Dental Clinic directly.